I have been working slowly on several things. I feel like I may be working on too many things at the same time but have so many deadlines! I think if I list them here it may help me to focus. (not sure what I was thinking since I have so many of my own things I need to do). 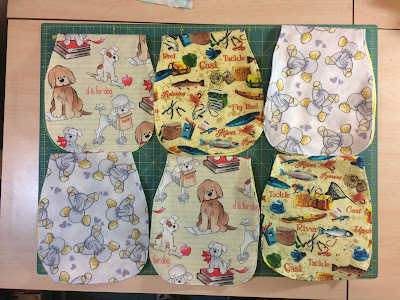 I have one finished and have started on the second one and am about halfway through the paper piecing of that one. Near as I can tell it takes between 4.5-5 hours per dragon. 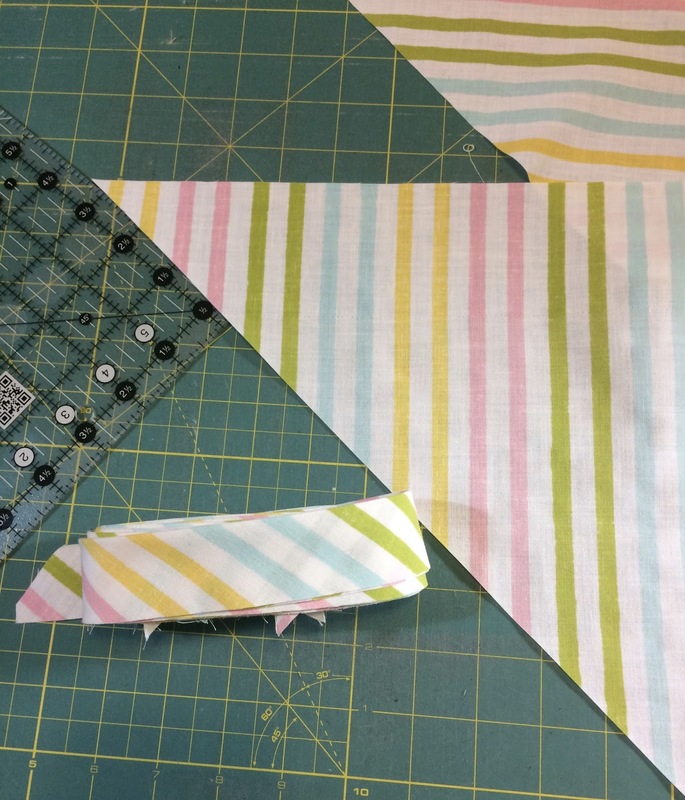 I also need to put the binding on my Birdie Stitches quilt. I made some fantastic striped binding on the bias using a vintage sheet but need to sew it to the quilt so I can hand stitch it down. 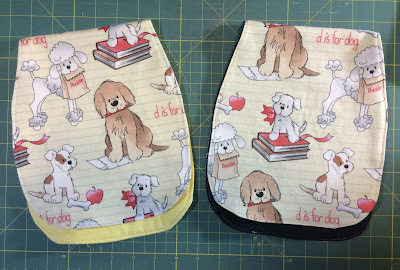 I have finished up some burp cloths to put in my ETSY shop. I used some left over flannel to make them up. Hoping to list these in the shop soon! The other things are not begun but rather are on the "to do" list. 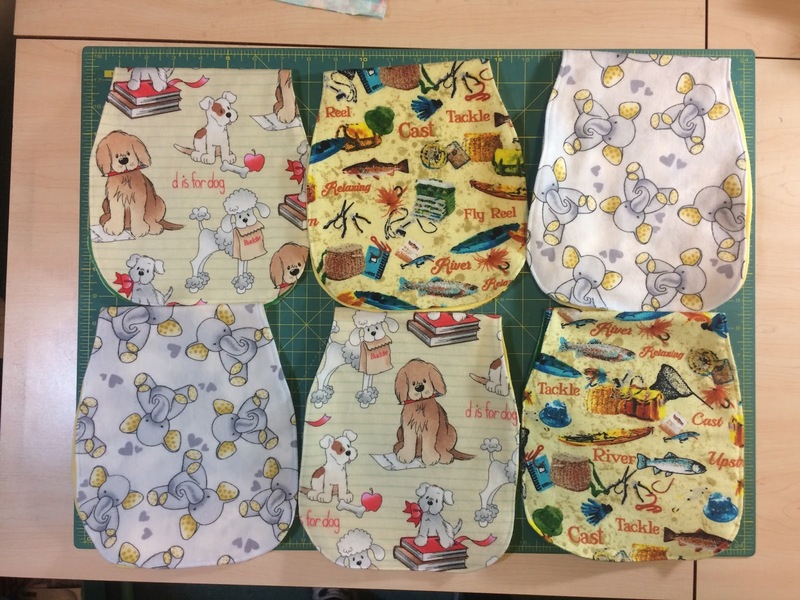 There are 3 baby quilts to make. You have seen the Folksy Fish one and I am dying to get back to those fish! Then I am working in collaboration with my friends to make the other 2. 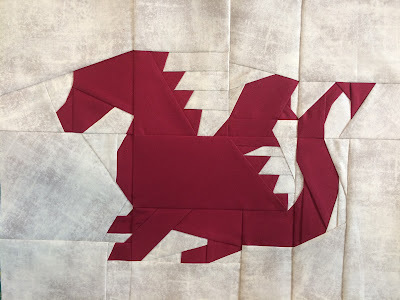 Have you seen the Lloyd and Lola Lama quilt? 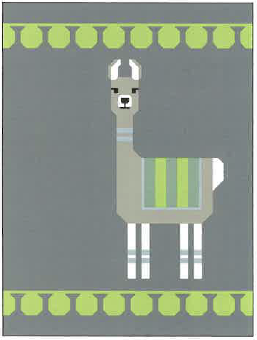 We are just making the one llama. I am making the lanterns on that one. Then we are making this seahorse one. Each of us is making one seahorse and I am making the waves. I really need some focus! Link up and show us! 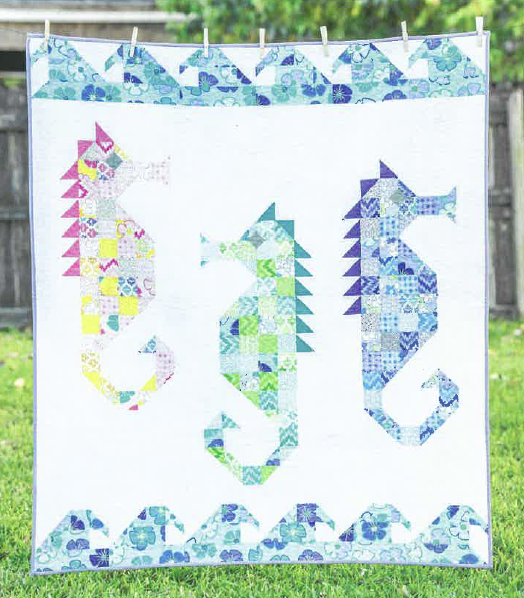 I love that seahorse quilt! 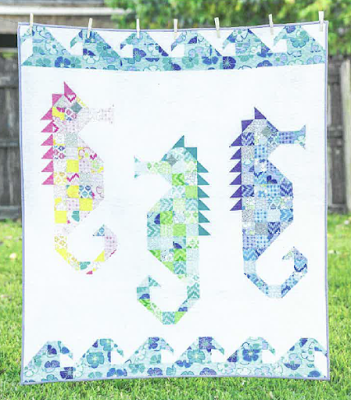 Oh, I love that seahorse quilt - have to pin that, not that I definitely don't need new project ideas either. Sending you lots of motivation and time to finish all your projects! Love the Lola the lama, the seahorses, AND the dragon. Fun stuff happening at your place. OMG and I thought I jumped around like water on a skillet. Girl you certainly able to multi-task. That's crazy nice of you to make four dragons. What's the pattern for them, or did your friend design it?